Thank you for your interest in one of Coachlight Motors's online offerings. 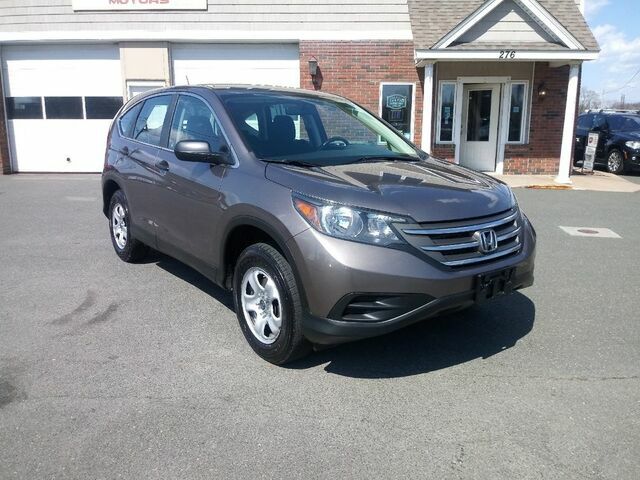 Please continue for more information regarding this 2012 Honda CR-V LX with 116,957mi. This vehicle is loaded with great features, plus it comes with the CARFAX BuyBack Guarantee. The best part about this well-maintained vehicle is that it is a CARFAX one-owner vehicle. This SUV is a superb example of what a tough, work focused vehicle should be. Exceptional towing, acceleration and torque will help you get the job done. Equipped with 4WD, this Honda CR-V gives you added confidence to tackle the surface of any path you take. Treat yourself to a Honda CR-V that's got it all. Nearly every option is packed into this beautiful ride. Beautiful exterior. Clean interior. This Honda CR-V is so immaculate it is practically new. More information about the 2012 Honda CR-V: Honda has a successful formula for their compact SUV and they see little reason to deviate too much. All CR-Vs come with a capable 4-cylinder engine, a cleverly designed interior and compact exterior dimensions. This is all wrapped up in attractively designed sheet metal and sold with available all-wheel drive at a competitive price. While some competitors have allowed their vehicles to balloon in size, features and price, Honda has steadfastly stuck to the winning formula that has made every generation of CR-V a success. This model sets itself apart with Practical and well-equipped with available all-wheel-drive.